Carl Zeiss Jenaval Upright Research Microscope with Camera Objectives Mikroscop . New Life Scientific, Inc. This Zeiss Jenaval microsocope is in good cosmetic condition, with wear from normal use and age. New Life Scientific technicians have tested this microscope and were able to confirm that it is fully functional. The light source is in good working condition, and has a polarization filter and filter wheel included. An Olympus camera is also included as pictured, but it will require film to be used. 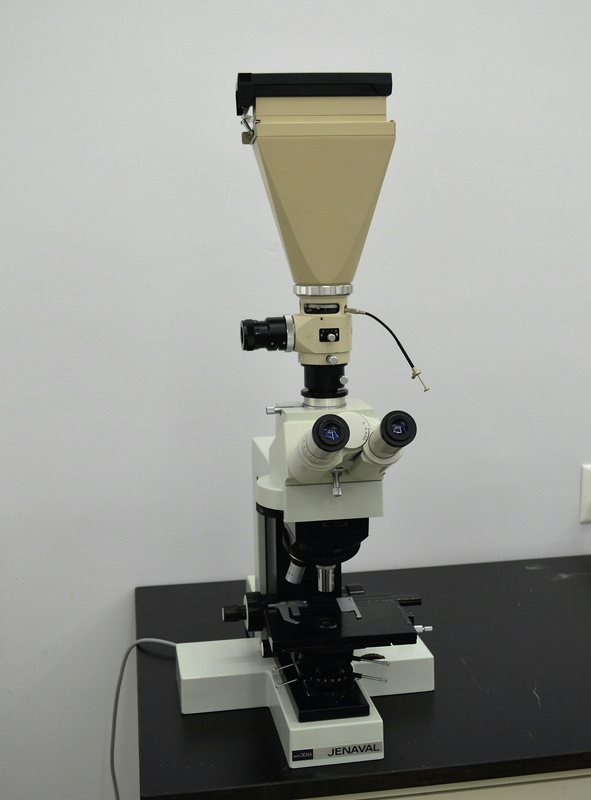 A newer digital camera could be attached, replacing the Olympus, to this microscope by the customer, if desired. The stage and focus are in good functional condition. Two objectives and eyepieces are included as pictured. Please refer to the pictures or contact us for more information.